The new concept of emotional intelligence (EI) came into the scientific literature in 1990. Since that time, after more than twenty years later, EI has been established as a major new idea in psychology and education indeed, with an impressive number of scientific and popular books, papers and conferences around the world claiming its importance for everyday life. Broadly, EI is a multifaceted trait to perceive, express, use, understand and manage both own and others emotions. Nowadays, developments in the research area of EI have provided a sound support for the building of a new kind of education called emotional education. Nevertheless, progress in that direction requires a clear and coherent theory-based conceptualization of EI, reliable and valid assessment instruments, and cautious steps to translate basic research into effective practical interventions. This course is relevant to those with an interest in future education. 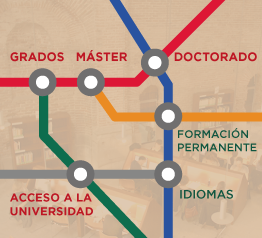 As the society, the education and the employment scenes are continuously changing -requiring new and more advanced competencies-, the Faculty of Education at UNED has adjusted its offerings to meet the new needs of graduates and society. Education graduates can gain competitive advantage by acquiring greater knowledge and competence to discriminate between science and fiction in this area. According to James Heckman, Nobel Laureate in Economics, we often have a bias toward believing that only cognitive ability is of fundamental importance to success in life, but investments in emotional education contribute to the quality and productivity of the workforce and the progress of people and countries by increasing self-control, empathy, social competence and motivation.